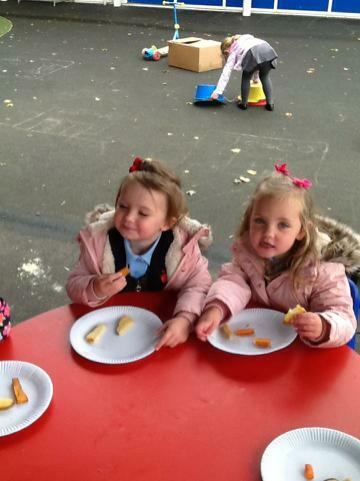 For our final week of this term all our parents / carers were invited into nursery to join their children for a stay and play. 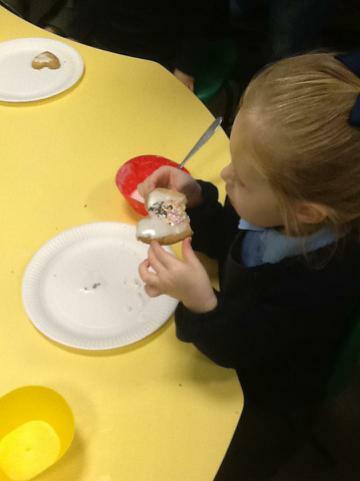 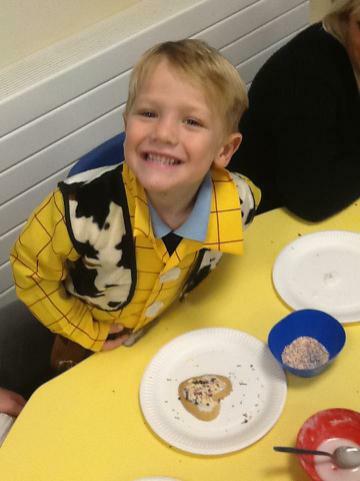 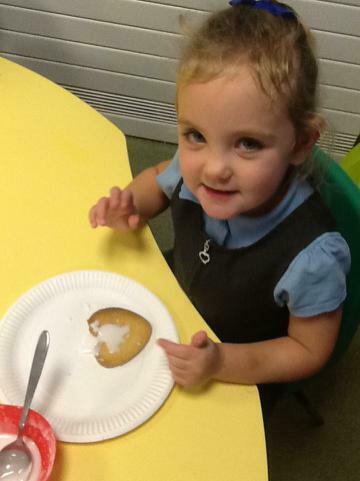 We had made shortbread biscuits the day before so the children could decorate a biscuit with their adult. 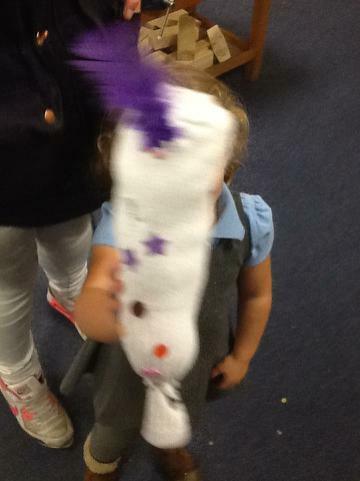 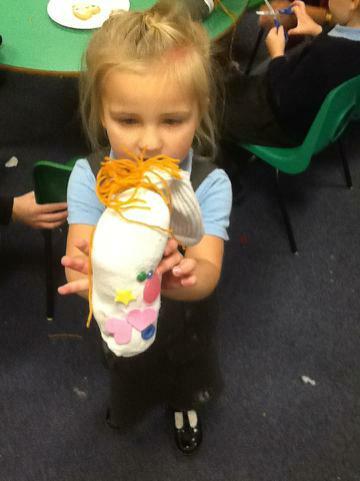 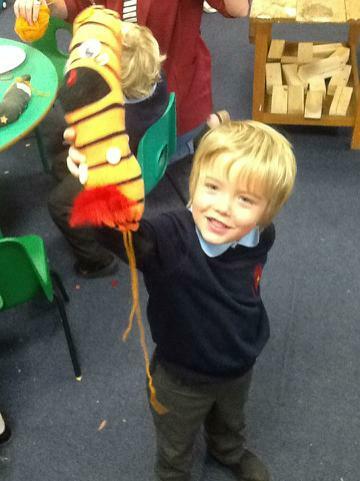 We had also made sock monsters after reading our story 'Love Monster' by Rachel Bright. 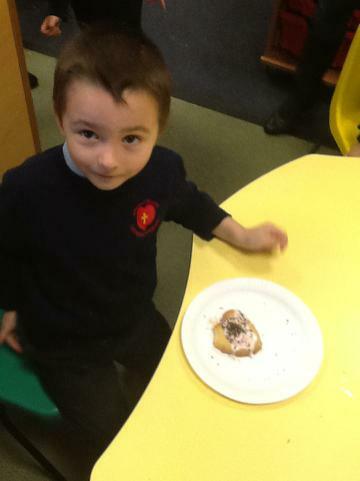 We stuffed them with our adults and took them home! 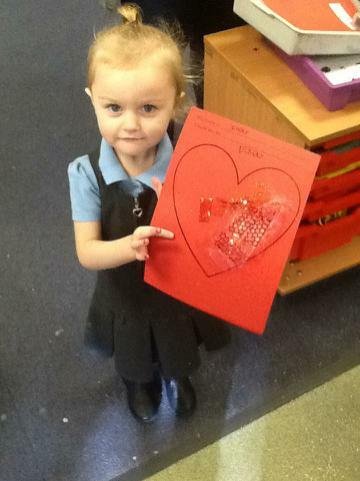 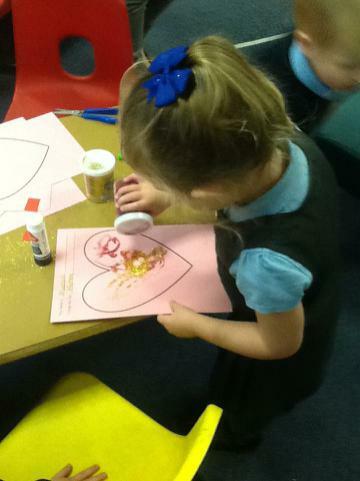 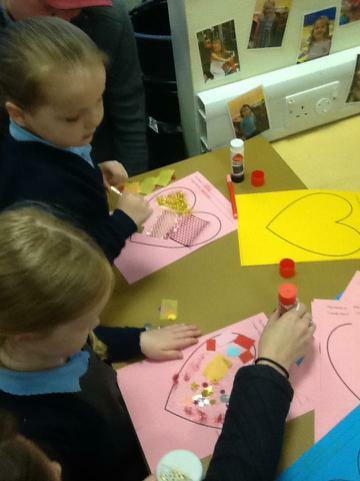 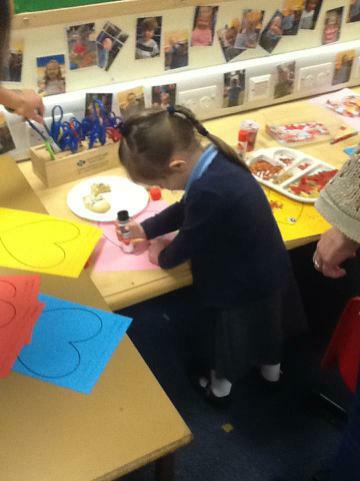 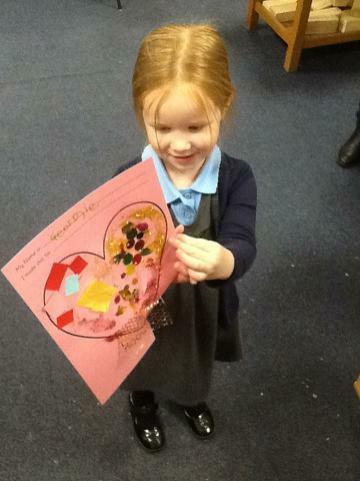 We also made heart collages of our own (we all made a big one for our display at the beginning of term!). 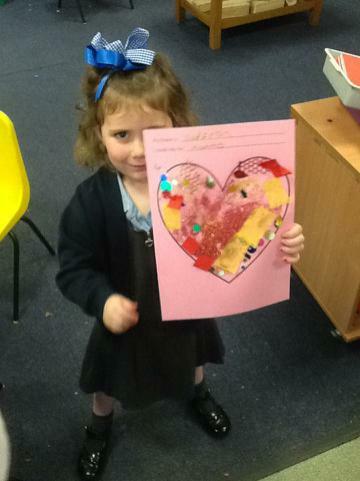 We had to decide who we had made the collage for and put their name on it. 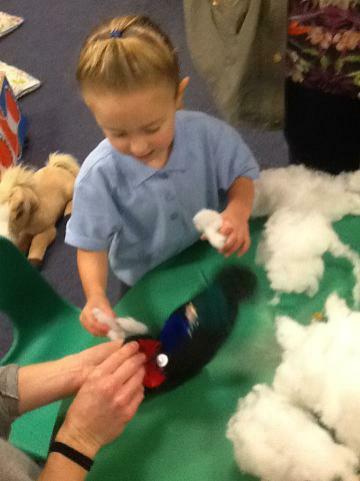 We all really enjoyed our stay and play session and the Nursery Team would like to thank all those who participated! 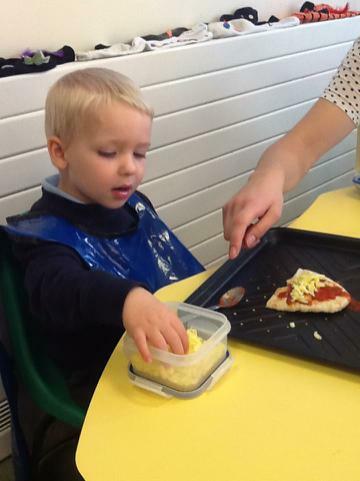 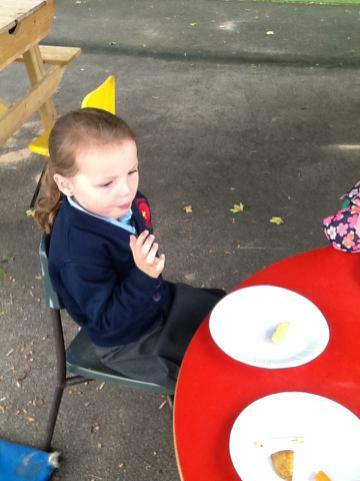 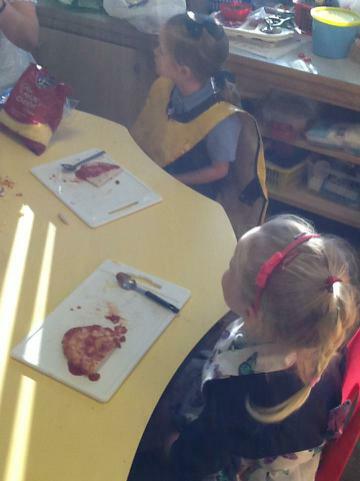 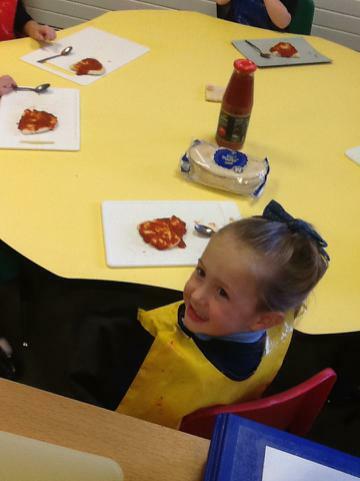 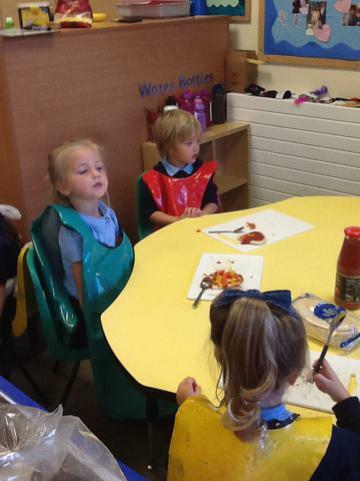 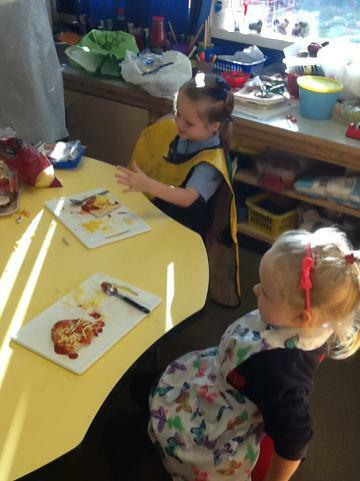 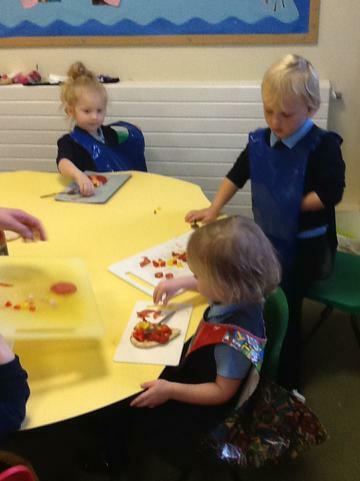 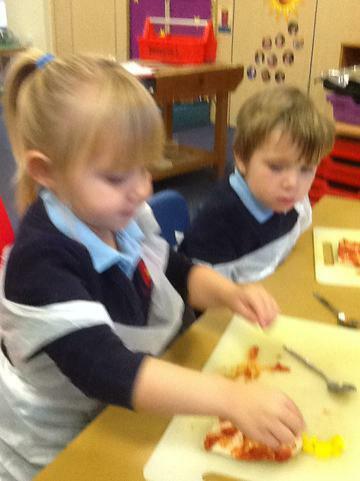 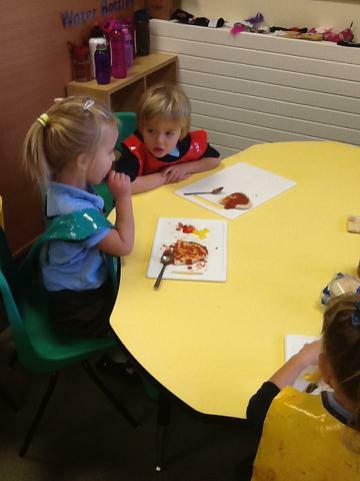 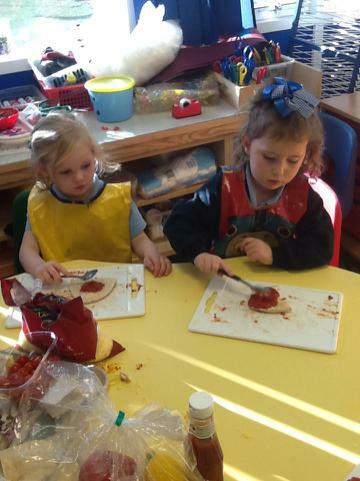 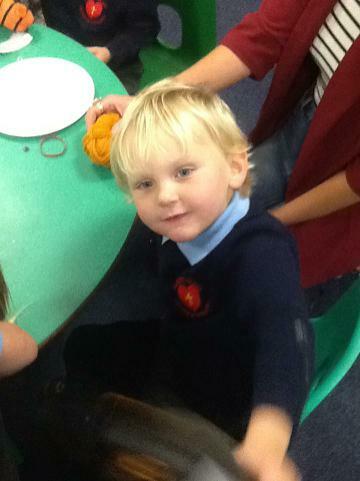 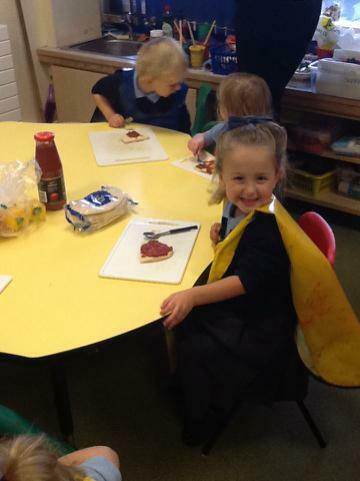 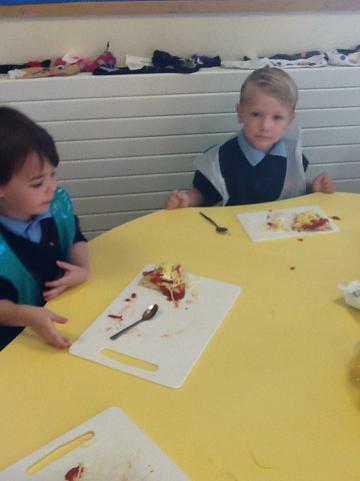 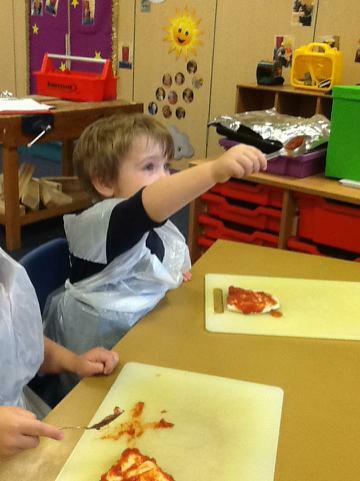 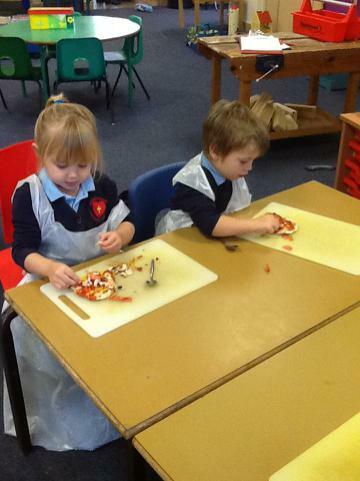 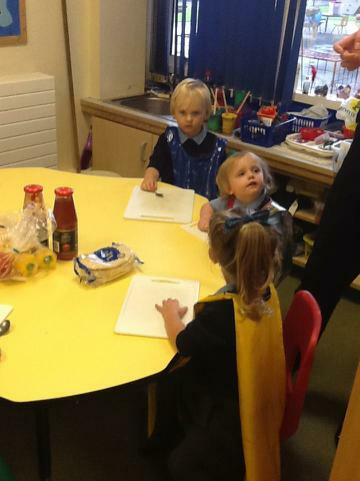 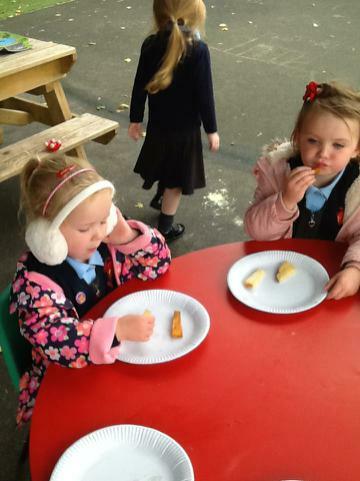 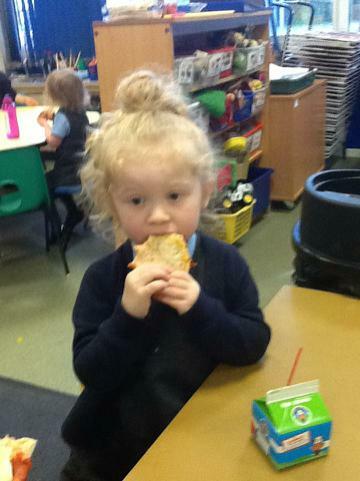 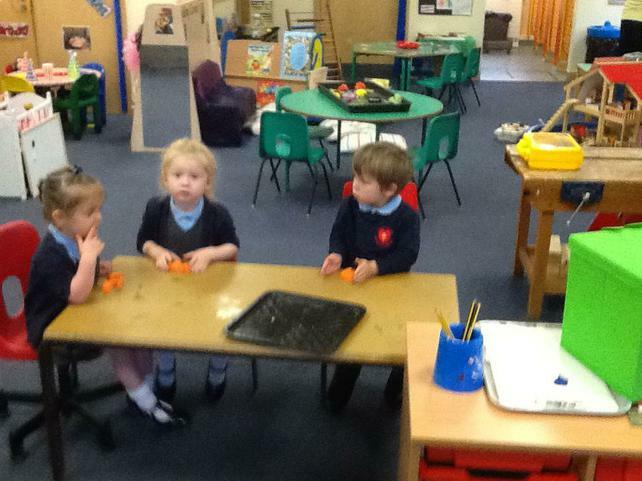 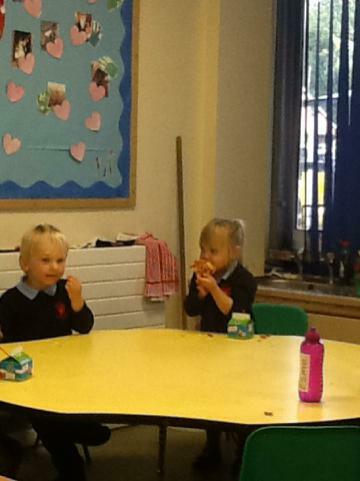 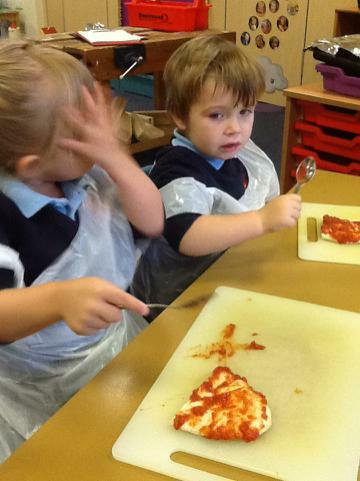 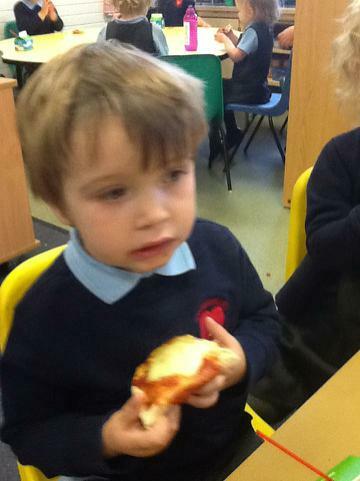 Both Nursery classes have been talking about pizza's with adults and their friends in Nursery. 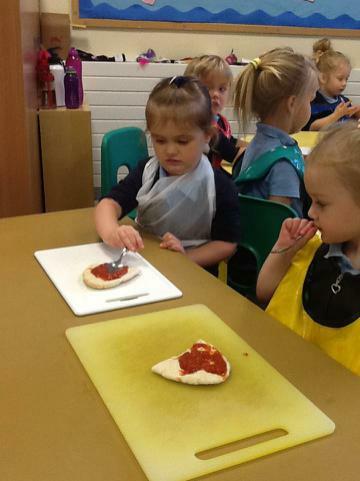 So we decided to make pizza's this week! 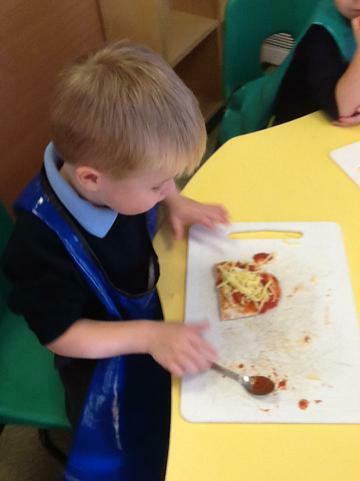 We made a list of the ingredients we needed and talked about our favourite toppings. 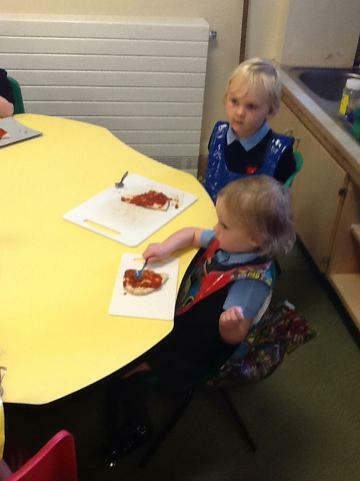 We made our pizza's from pitta bread. 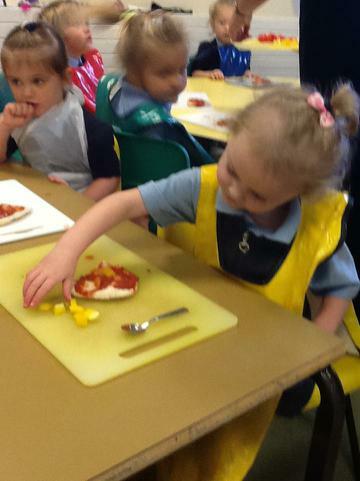 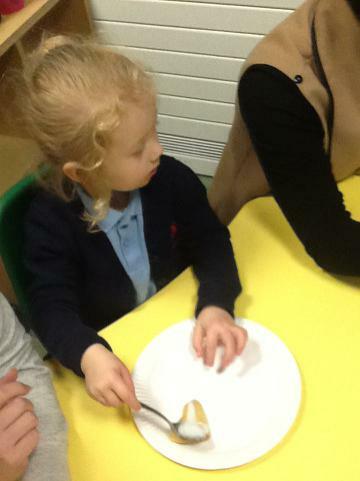 We learnt about mozzarella cheese and the different toppings we had. 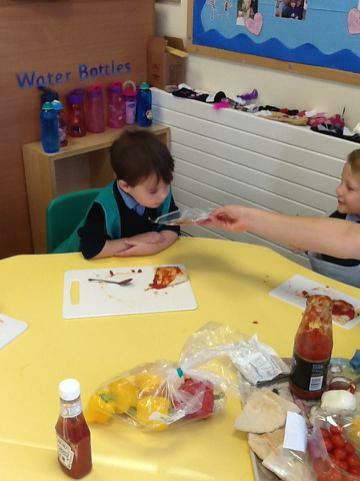 We tasted some of the ingredients to see if we liked them before putting them on our pizza! 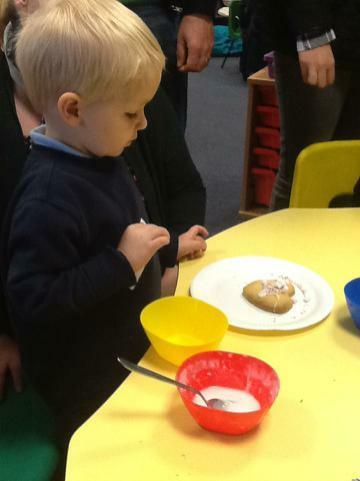 Then they went in the oven and we gobbled them up! 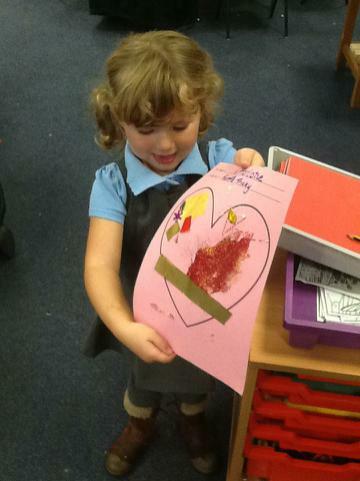 For the past few weeks our Nursery children have been taking home their scrapbooks. 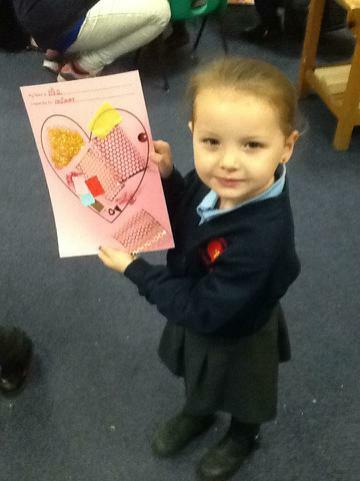 These are for our Nursery children draw in, stick photos of their family in and write about what they have been up to with their family and friends. 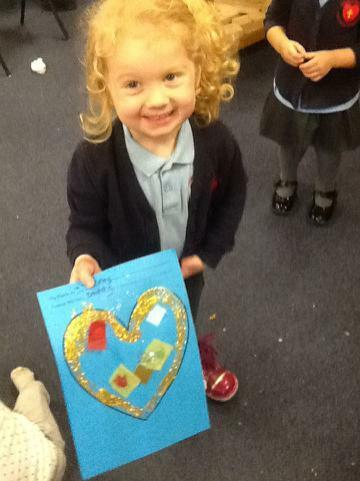 The Foundation Stage Team have loved reading though all the scrapbooks and finding out what our Nursery children get up to when they are not at Nursery! 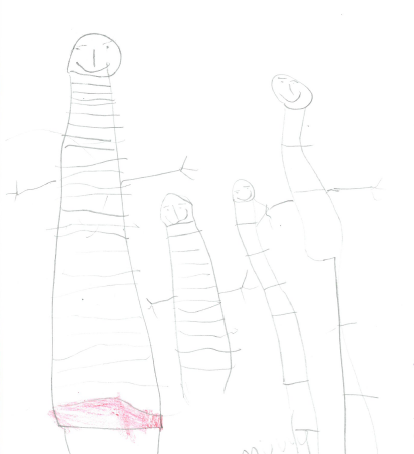 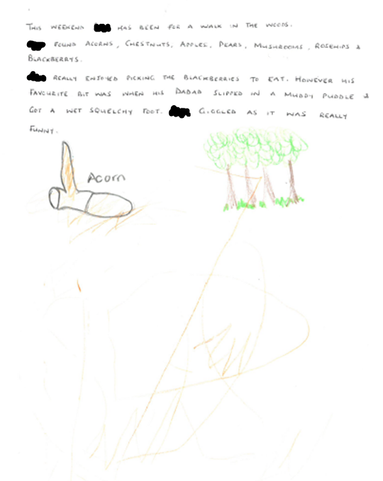 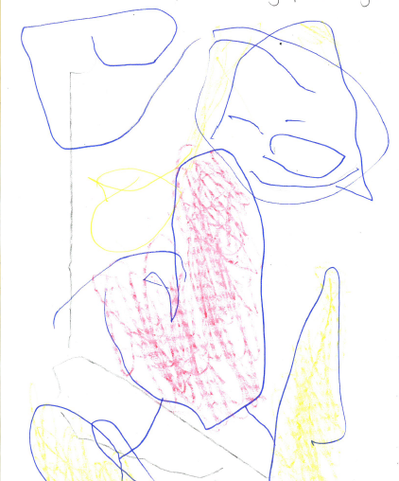 Below are a few examples of the drawings children have done! 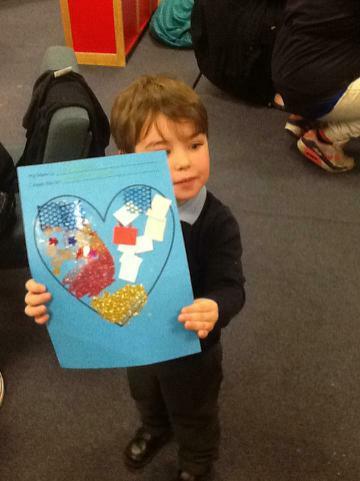 Thank you to parents / carers for their support with this! 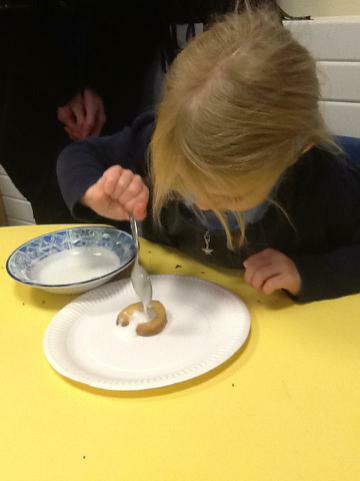 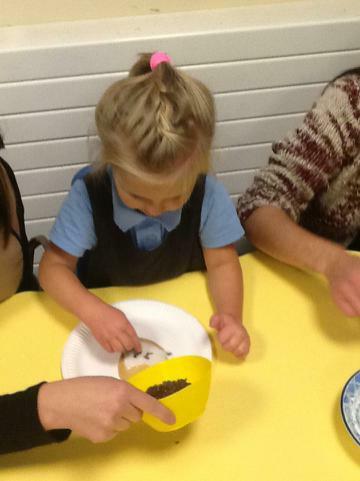 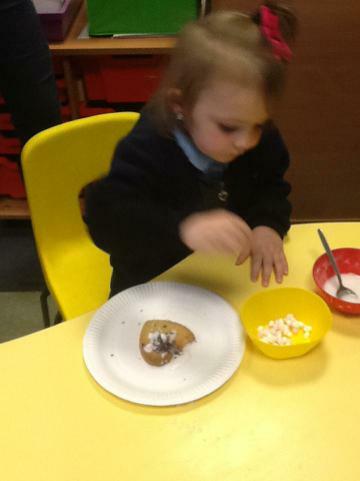 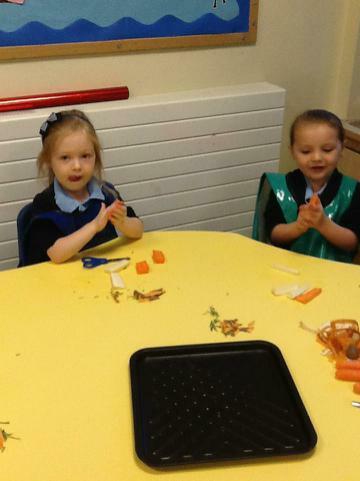 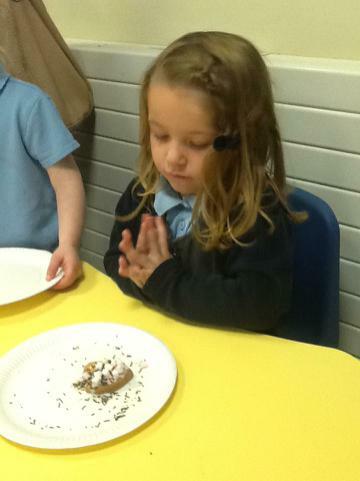 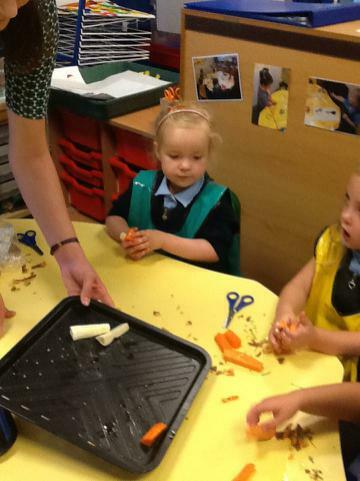 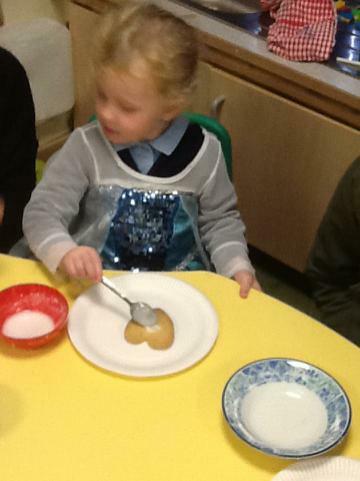 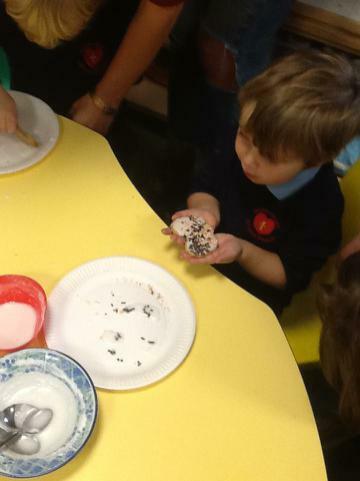 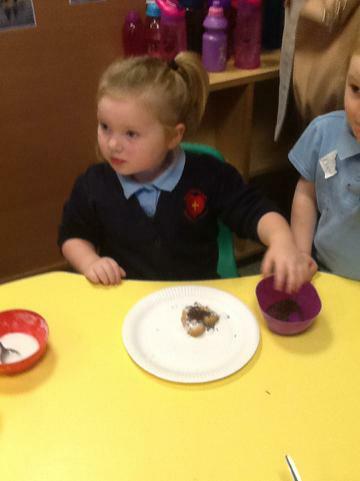 Following on from last week's gardening session, this week our Nursery children have been cooking! 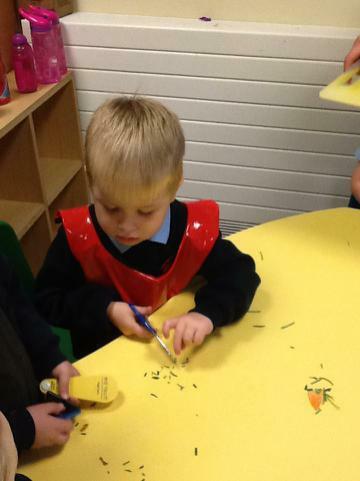 We went to the garden plot to cut some herbs. 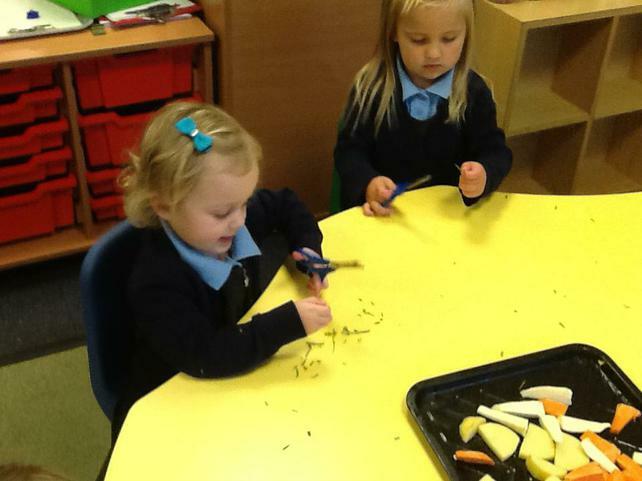 We cut Rosemary and Thyme to use in our cooking. 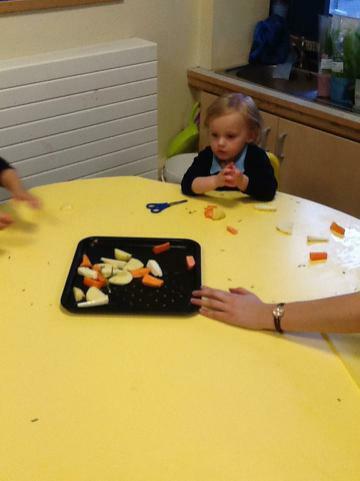 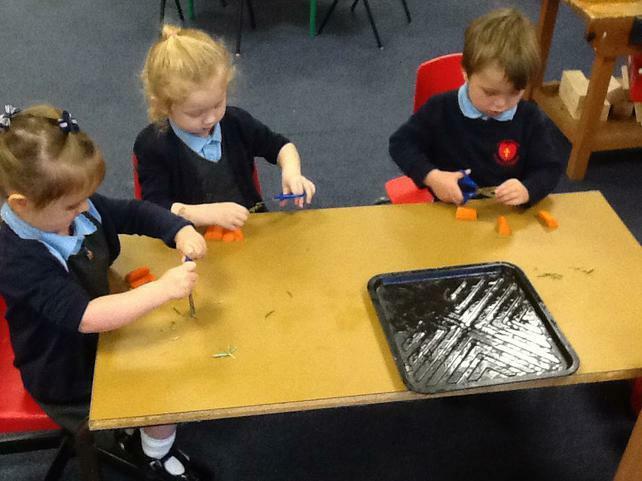 We peeled vegetables: parsnips, carrots, potatoes and sweet potatoes. 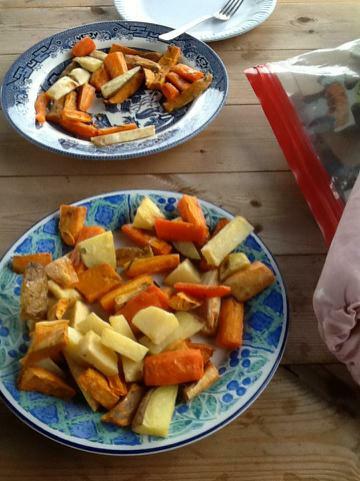 We then chopped them into smaller pieces and rubbed them in oil. 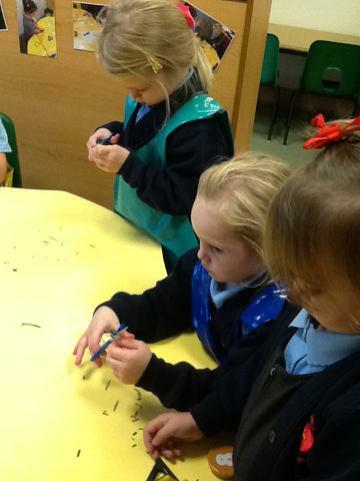 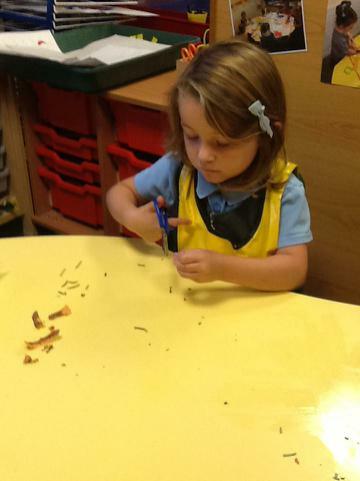 We picked the leaves off of the herb stems and used scissors to snip them into smaller pieces. 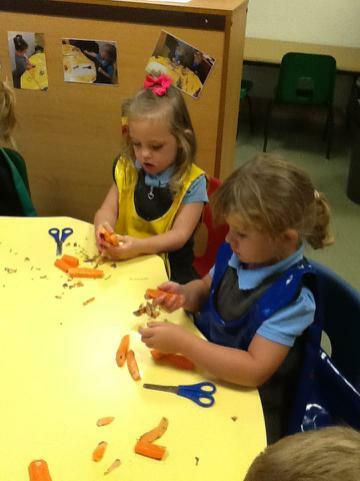 We sprinkled the herbs over our chopped veg! 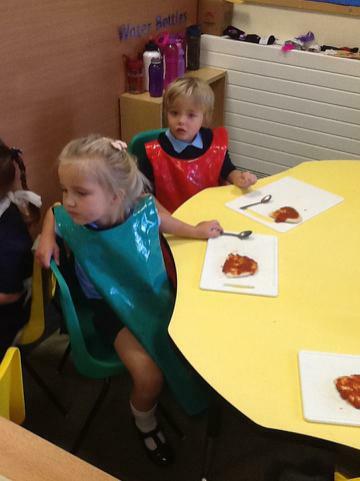 When they were cooked, had a taste! 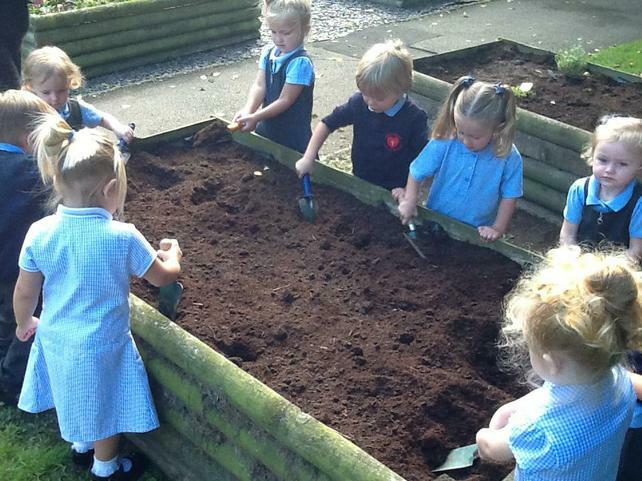 This week our Nursery children have been gardening! 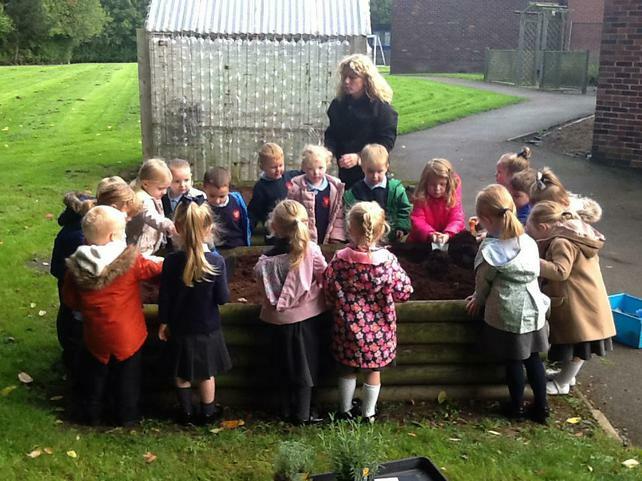 We planted some herbs and some daffodil bulbs. 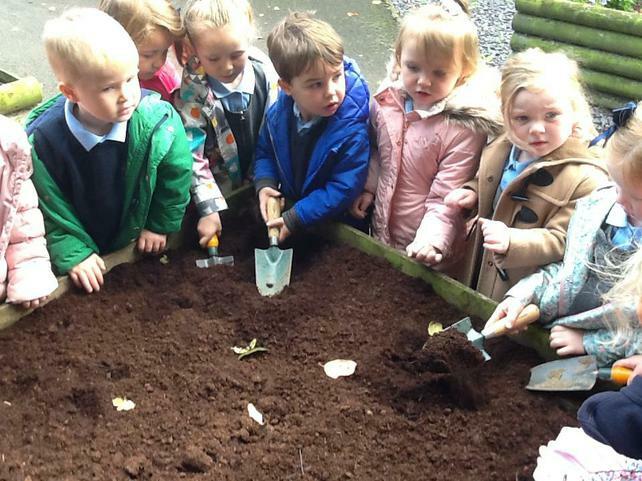 We had to be careful to make sure we planted our bulbs the right way up! 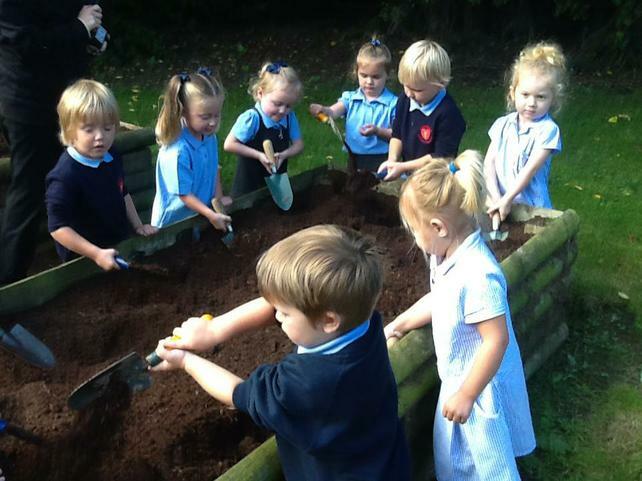 We used shovels and forks for digging and filled the watering cans up to water our plants. 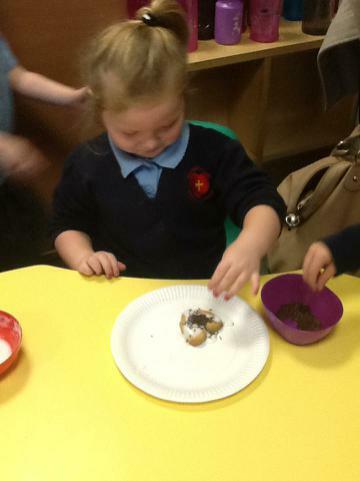 We will be going back next to week to check that our plants are growing! 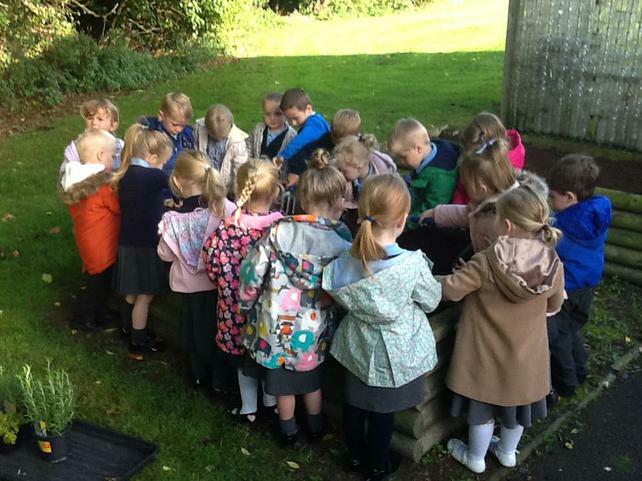 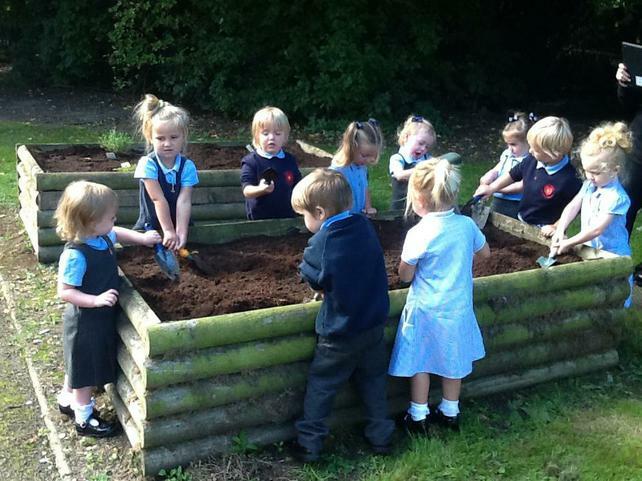 Pictures of our nursery classes doing some gardening! 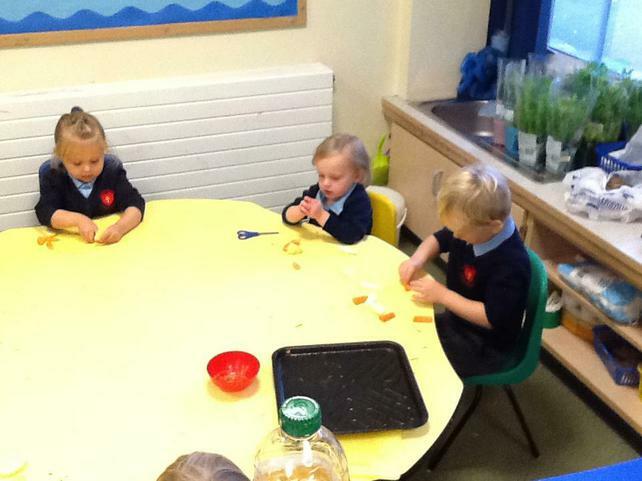 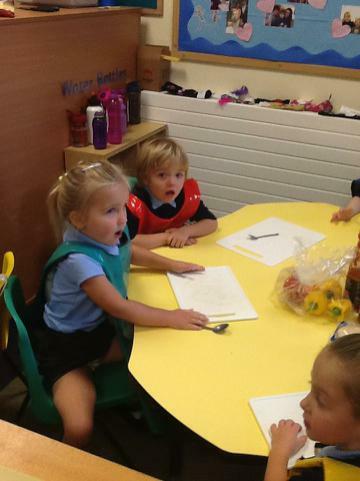 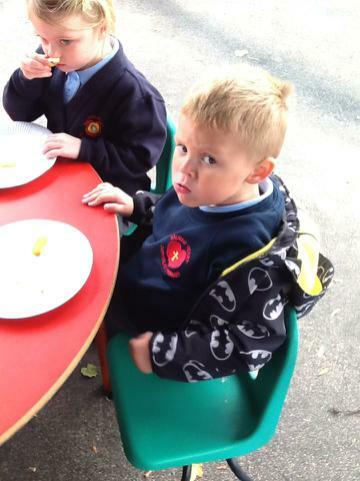 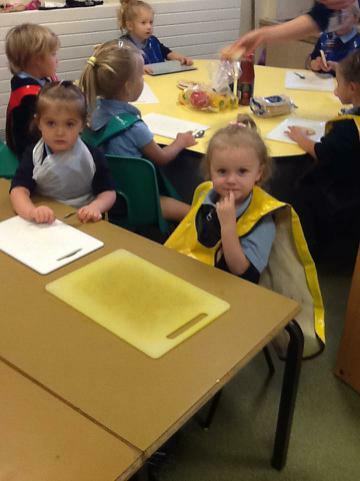 Our Nursery children have been settling in brilliantly! 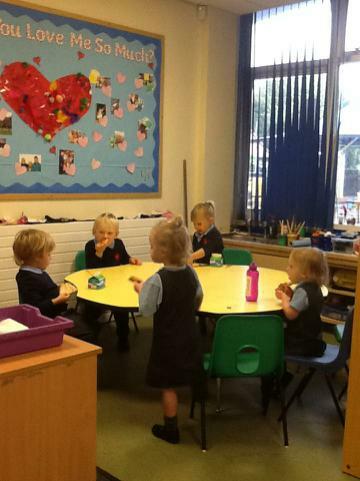 Our morning children are enjoying making new friends with the children who have joined their class from the afternoon. 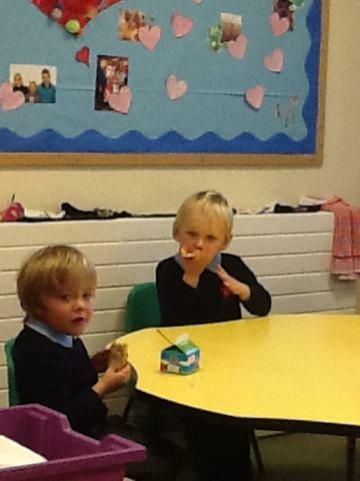 Our afternoon children are new to our school are settling in well and making lots of new friends! 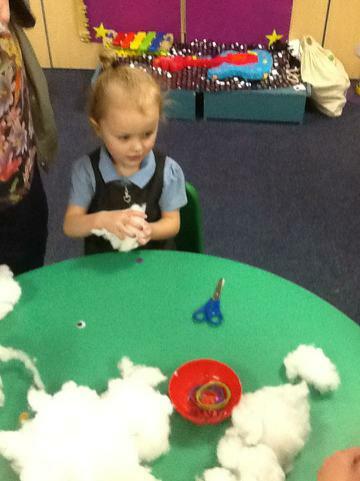 This week we have been playing games in P.E, performing on our stage and getting messy in our Funky Foam!